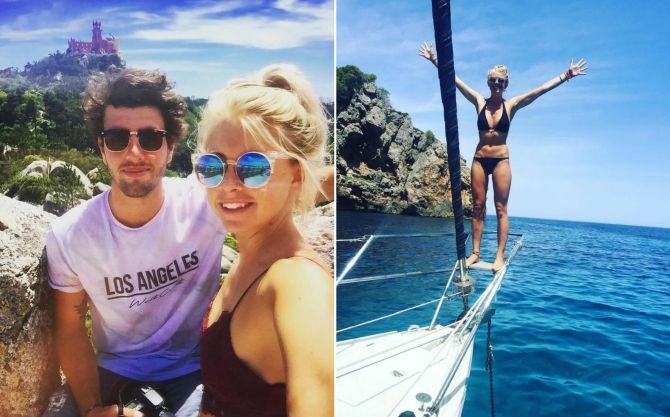 This young couple is building a dream travel lifestyle without putting themselves out of pocket. 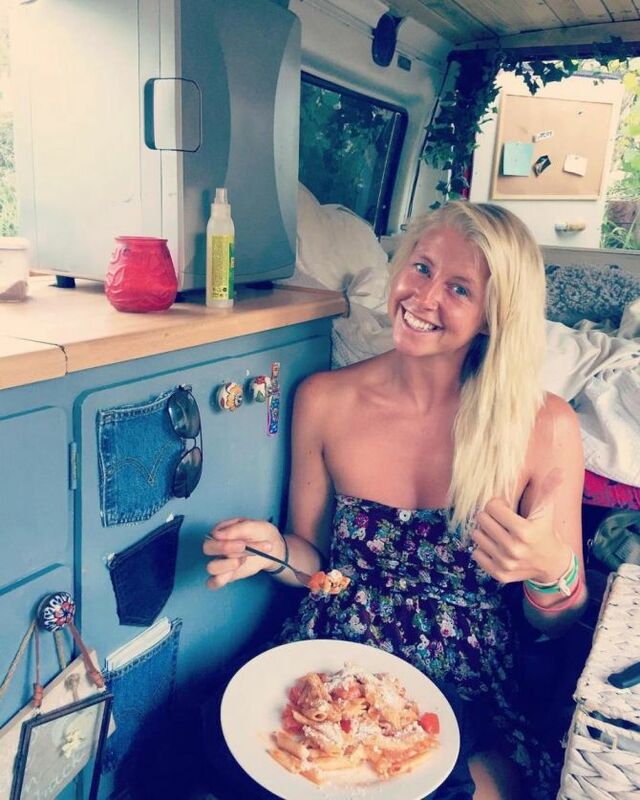 A 26-year-old British woman, Kate Quinn, and her 23-year-old Australian boyfriend, Benny Leyland, are living their dream of traveling around the world after converting an old postal van into a motorhome for £500. 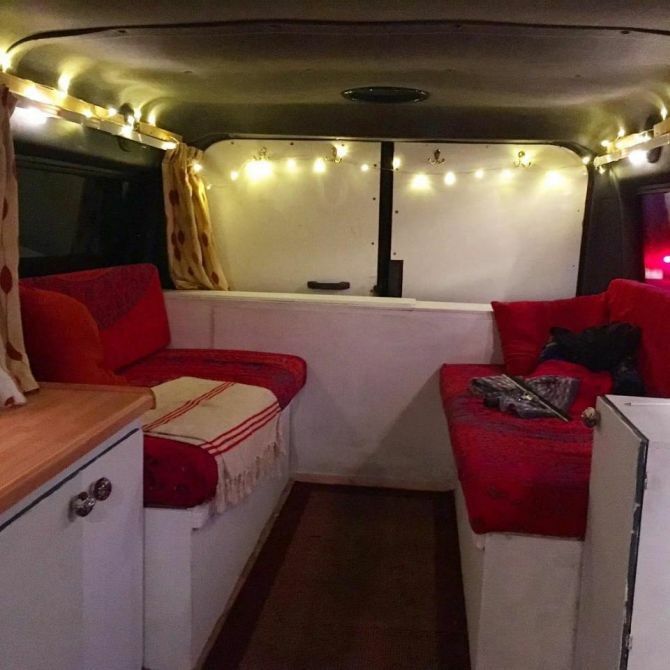 Inspired by endless travel boards on Pinterest, the pair set off in their red van, named Pat, which has been redesigned with materials they bought on eBay. 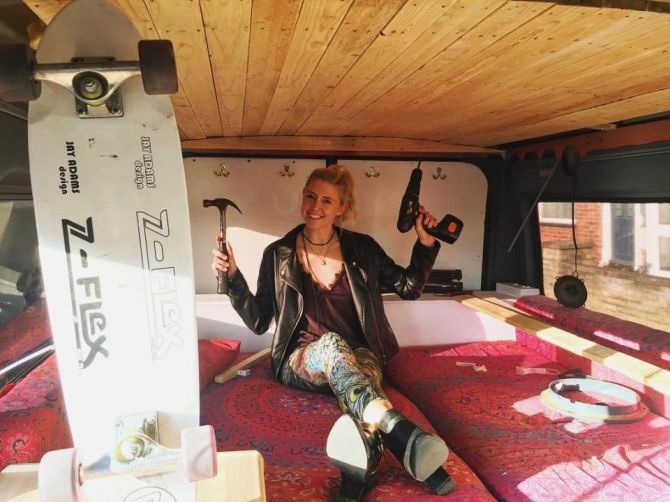 They began their journey when Quinn joined Leyland on a work trip and they jokingly said ‘what if they could travel the world in a van.’ This idea remained with them until they actually revamped ex-postal van into a functional tiny house on wheels. Soon after that, they started driving the coast of Europe from Dover. 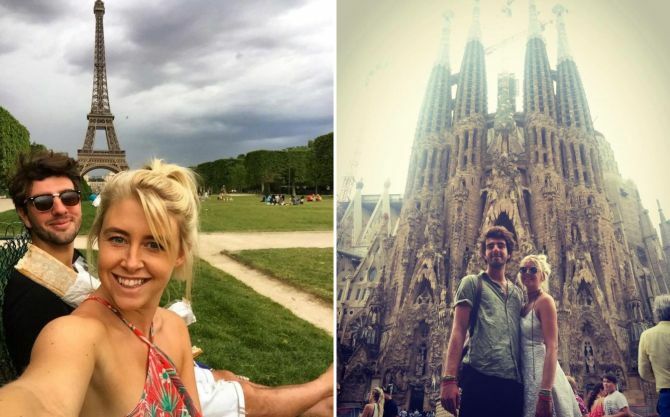 So, far they have been to France and Spain twice, Morocco, Portugal, and Mallorca. They are currently roaming the streets of Amsterdam and absolutely loving their nomadic lifestyle. 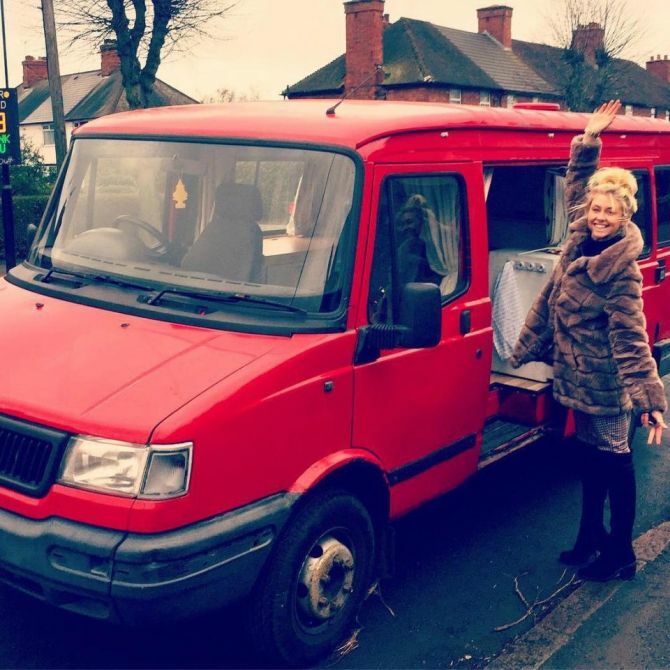 According to Quinn, the best thing about this lifestyle is freedom – as its opens a whole world of possibilities that are not accessible with other means of travel. Moreover, driving to places with no real idea what it will be like is another exciting thing that keeps their adrenaline rush alive. However, their travel experiences have not always been so fun. 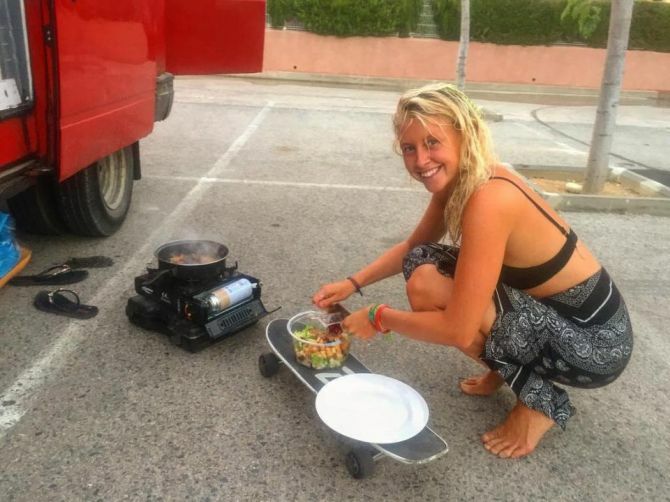 They had to face a tough time in Portugal when their van’s starter motor broke and their laptops were stolen. Despite all odd and some bad experiences, they never thought of putting an end to their thrilling life. Belgium will be their next travel destination and they’re planning to eventually travel around Asia once they’ve saved up enough money. Their life is really an inspiration to those who wish to travel the world but are stuck in certain life situations. 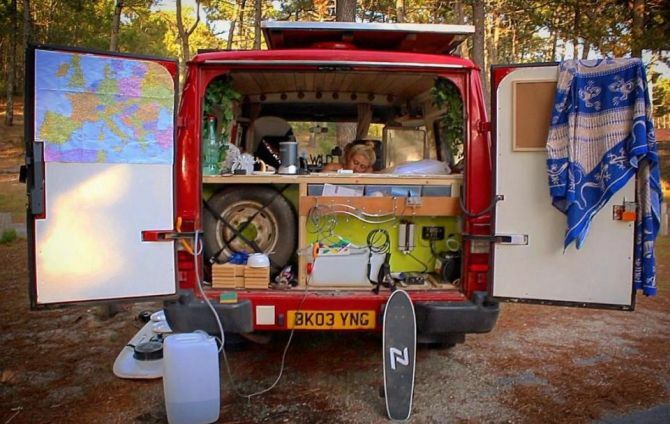 You can have a glimpse of their expeditions on their Instagram account @slowdowngofurther.